Start with step 14 and work your way backwards. Whenever you are adding a new jump, start with the dog real close to it. When the dog is consistently going over the jump, move him back a little. If he cuts a jump, move back in until he is consistent again. Slowly work backwards until the dog is being released from where the box is. If you get to the point where you are releasing the dog from the box position and it is running 45 feet over a single hurdle, you are well on your way to having a reliable dog. 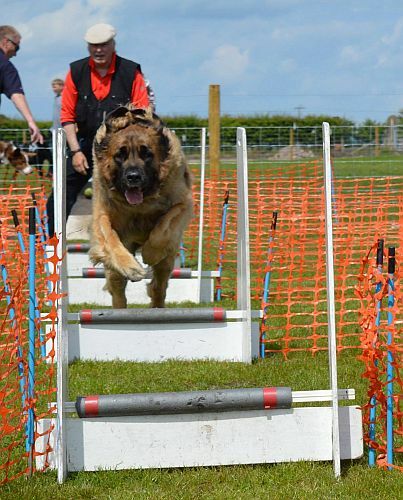 There is no recipe for learning Flyball, just keep track of your progress and do what works best for you and your dog. image on right courtesy of Julie Westwood.